1930 was the year when the Great Depression was in its infancy and Warren Buffett was born. It was also the year when Warren’s guru Benjamin Graham was at his career’s mid-point and he would re-discover the principle of “Margin of safety (MoS)”. MoS would become one of the core principles of Graham’s investment style known as value-investing. It would be published in the book Security Analysis in 1934. MoS, I believe, is also one of the core principles of systematic innovation. Question is – How did Graham forget the principle in the first place? And how did he re-discover it? Let’s see it in brief in this article. 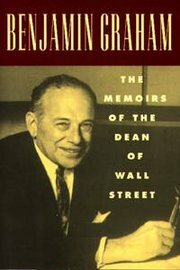 By 1930 Graham was 36 years old and had been in Wall Street for 16 years. He had experienced what it means to lose big-time twice. The first loss was in 1903 when Graham lost his father. Graham was 8 years old and his father 35. For the next several years Graham saw practically all the assets including furniture and jewelry disappearing from home, some of it to the pawn shops. The second loss was during the market panic of 1907 when his mother’s margin account was wiped out and her bank closed down. Things began to change slowly for Graham when he entered Columbia on an Alumni scholarship. During the great bull market of 1920s Graham saw considerable reversal of fortunes. In the middle of 1929, Graham’s fund was sitting on a two and a half million dollars capital – put in long terms investments and short term hedging & arbitrage operations. By the end of 1929, in spite of the September crash of Dow Jones, Graham’s fund had lost only 20 percent compared to a much larger loss of Dow Jones. In a few circles, Graham was being referred to as “financial genius”. In January of 1930 Graham visited Sr. Petersburg, Florida for holidays along with his family. He met a man named Mr. John Dix who was ninety three years old. Mr. Dix’s father had founded the John Dix Uniform Company of Long Branch, New Jersey. Dix asked Graham all about his business, how many clients he had, how much money I owed to banks and brokers and innumerable other questions. Graham answered them politely but with smug self-confidence. Suddenly Dix said with greatest earnestness, “Mr. Graham, I want you to do something of the greatest importance to yourself. Get on the train to New York tomorrow; go to your office, sell out your securities; pay off your debts, and return their capital to your partners. I wouldn’t be able to sleep one moment at night if I were in your position in these times, and you shouldn’t be able to sleep either. I am much older than you, with lots of more experience, you’d better take my advice”. Graham felt the old man couldn’t possibly understand his business and thought Dix’s ideas were preposterous. Of course, Dix was 100 percent right, Graham 100 percent wrong. Graham would remember Dix in June when the Dow Jones would reach the abysmally low level of 42 from the April level of 279. Graham’s loss in 1930 was 50 percent, in 1931 it was 16 percent and in 1932 only 3 percent. Graham suffered but perhaps far lesser than others. Surprising part is - Graham doesn’t blame himself for the failure to protect himself against the disaster. What is it that Graham regrets? In 1928 Grahams had moved into a duplex apartment with terrace on the 18th and 19th floor of a thirty storied building at the heart of New York City. It had ten rooms and a rent of $11,000 per year and the lease was to run ten years. Considering Graham’s gains of $600,000 before taxes for the closing year, the expenditure appeared modest even by highly conservative methods. He was proved wrong and pretty soon Grahams moved out of the apartment. What was Graham’s learning? The true key to material happiness lay in a modest standard of living which could be achieved with little difficulty under almost all economic conditions. Graham would remember Mr. Dix and the New York apartment experience for the rest of his life.